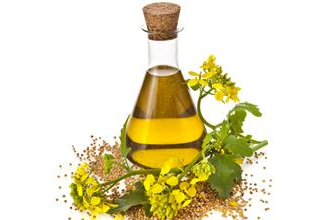 Nature Fresh refined oils are extracted from the finest quality seeds that are sourced from the best fields and processed to give oil that is light and easy on the stomach. 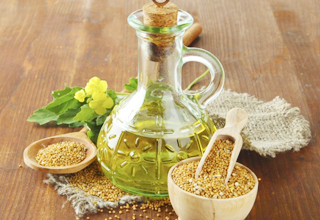 Nature fresh uses Aroma-Lock-a unique technology that seals and preserves the rich taste and aroma of mustard oils, providing you an ultimate cooking experience, in return. The result is a light oil that keeps you active all day long. Nature Fresh promises an active life. This is a life where you answer with a 'yes' to every opportunity. Whether it's an impromptu shopping trip with your friends or a jog in the park.Keeping the kids busy with fun and games on a Sunday or keeping everything going on a hectic workday. The brand delivers this by bringing you the right nutrition that keeps you going. Whether it's through sourcing the right ingredients or ensuring that the food is light through proper processing and packaging. Nature Fresh brings you the best of nature for a most active life. Nature Fresh strives to bring the goodness of nature straight to the consumer's plate. It's important to not that it is kept in mind that the product is natural and not completely synthetic. It's perfectly fine to process and pack the product in order to preserve its natural goodness however care must be taken to ensure that the source is not significantly altered so as to be perceived as artificial or chemical.